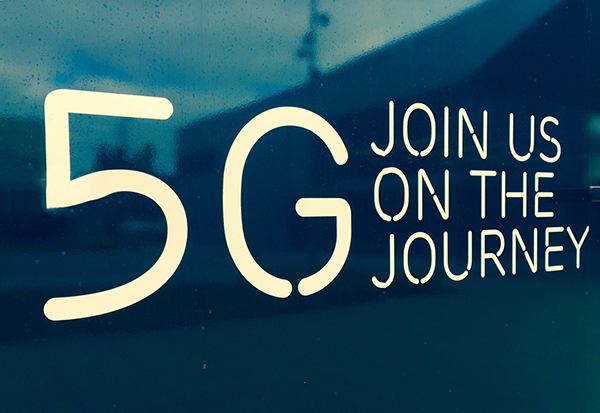 Swisscom switched on its commercial 5G network on April 17th across 102 locations in the first 54 towns – including Basel, Bern, Chur, Davos, Geneva, Lausanne and Zurich. Swisscom plans to extend 5G coverage across Switzerland from Aadorf to Zwischbergen by the end of the year. “The Swisscom 5G network will be ready for everyone across Switzerland by the end of the year as the new 5G devices from the major manufacturers wait under the Christmas trees,” says Urs Schaeppi, CEO Swisscom. Ericsson will supply a new end-to-end 5G IP transport network to Swisscom. The deployment will use Ericsson's Router 6000 and Juniper Networks' 5G core routing portfolio. Financial terms were not disclosed. Ericsson said it takes end-to-end responsibility for Swisscom's 4G and 5G networks – from radio base stations to the data center. This includes hosting core applications such as IMS and Packet Core and managing network slices end to end with Ericsson Dynamic Orchestration. Heinz Herren, CIO and CTO at Swisscom, says: "We have selected Ericsson's transport solution for our 5G network. Partnering with Juniper Networks, Ericsson has extended its transport coverage and can now take end-to-end transport responsibility all the way from the Radio Access Network (RAN) to the next generation core. Seamlessly managed and orchestrated, this reduces our complexity and affords a more efficient, high-performing network." On April 11, KT officially launched its nationwide commercial 5G network in South Korea. 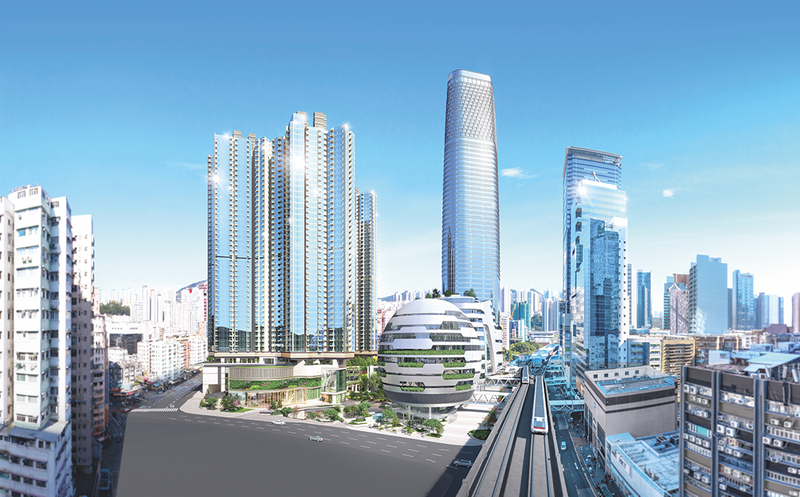 The nationwide service primarily covers the country's most populated areas, including the capital Seoul and its surrounding metropolitan area, six other metropolitan cities, most of all 85 major cities, 70 large shopping malls and discount stores and 464 college campuses. Ericsson provided the 5G new Radio (NR) hardware and software to cover KT's 3.5 GHz Non-Standalone (NAA) network. KT is offering unlimited data plans without a speed cap. KT's 5G Super Plans come in three packages: Basic (80,000 won per month) with 5GB of tethering, Special (100,000 won per month) with 50 GB of tethering, and Premium (130,000 won per month) with 100GB of tethering. Each plan offers unlimited roaming services in 185 countries. Customers can receive a 25 percent discount to join any of these Super Plans on a 2-year contract and an extra 25 percent off by signing up with a family member. Light data users can subscribe to 5G slim, which caps speed at 1Mbps after 8GB of data for 55,000 won per month. ANTEL, the Uruguayan state owned operator, activated the first 5G commercial network in Latin America. Nokia is the supplier. The deployment started in the Barra de Manantiales area, Maldonado Department, where the first 5G base stations are operational and ready to provide services. SK Telecom has activated a total of 34,000 5G base stations across Korea. In a press conference at its headquarters in Seoul, SK Telecom marked "the beginning of the age of Hyper-Innovation with 5G". The company's 5G network initially targets the nation's most data traffic-concentrated areas, including main areas of 85 cities nationwide (Seoul, six metropolitan cities, etc. 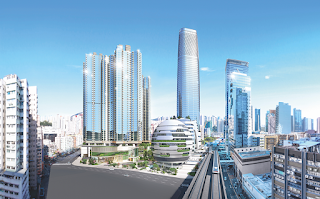 ), university districts, KTX, sports stadiums, expressways, subway lines (Seoul and Seoul Metropolitan Area) and beaches. SK Telecom is also expanding in-building coverage centered around 120 department stores, shopping malls and airports. In the second half of 2019, SK Telecom will expand 5G network coverage to subway systems nationwide, national parks and festival sites. SK Telecom’s 5G network supports downlinks up to 2.7 Gbps. New 5GX price plans go into effect on April 5, 2019. Four plans are offered. 5GX Standard comes with 150GB of data (5Mbps after data cap) at KRW 75,000 per month. SK Telecom said its 5G pricing structure offers the same amount of data at lower prices compared to its LTE service. Colt will deploy Cisco’s segment routing and Ethernet VPN (eVPN) based architecture to deliver its wholesale 5G backhaul. Colt said that by allowing MSPs to share connectivity costs while maintaining individual service level agreements (SLAs), its 5G backhaul will help its MSP customers deliver 5G services to end-users faster and with lower subscription costs. 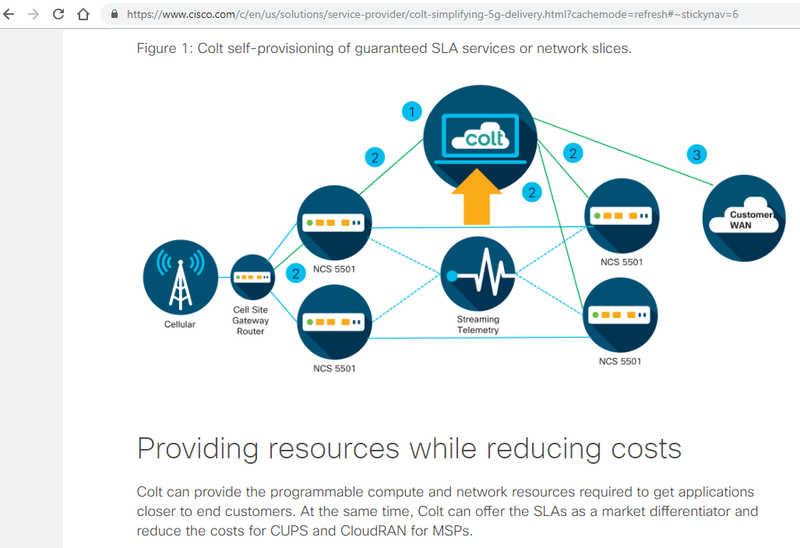 Cisco’s programmable-routing architecture for advanced 5G service enablement will enable the Colt IQ Network to be extended to customers directly using standards-based APIs. The companies describe this as a breakthrough in automation for next-generation 5G backhaul requirements, enabling self-provisioned bandwidth scaling and guaranteed SLA services or network slices based on latency and bandwidth demands. Austria concluded an auction of 5G spectrum in the 3.4-3.8 GHz band. Licenses were acquired by the three leading operators (A1, Hutchinson, T-Mobile) as well as some smaller players. 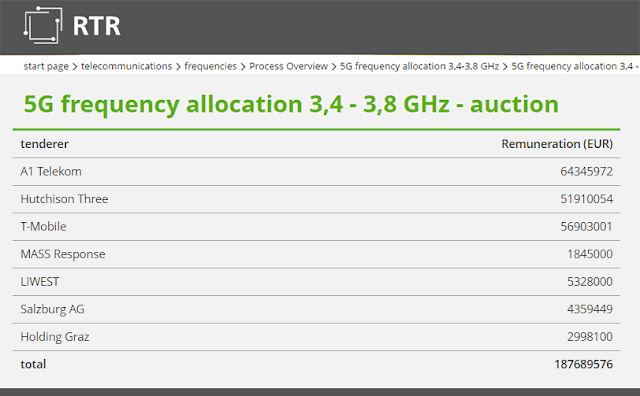 In total, 438 out of a total of 468 frequency packages (39 packages of 10 MHz each, in twelve regions) were auctioned for a total price of around EUR 188 million. The auction lasted over three weeks. T-Mobile Austria acquired 110 MHz of spectrum throughout the country (11 packages of 10 MHz each in 12 regions), for a total price of €57 million. Etisalat selected Ericsson to deploy a 5G radio network in the United Arab Emirates (UAE). Etisalat is preparing to offer 5G enhanced mobile broadband and fixed wireless access - among the first 5G use cases - and will provide subscribers with higher throughput and better experiences. Saeed Al Zarouni, Senior Vice President, Mobile Network, Etisalat, says: “Our ability to provide 5G services is due to our commitment to invest in line with our strategy to ‘Drive the Digital future to empower the society’ with solutions and services that are at the forefront of the digital journey. This is an opportunity for Etisalat to provide customers futuristic digital services and a truly transformative, nationwide 5G network they deserve." Marvell, whose 3G and 4G solutions are widely deployed in 3G and 4G networks worldwide, announced an end-to-end silicon platform for 5G infrastructure. 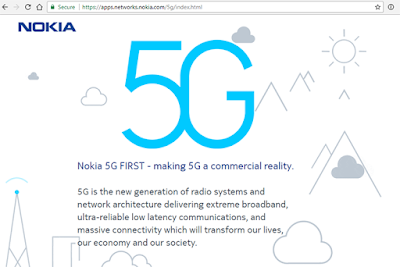 Whereas initial deployments of 5G NR have been dominated by FPGA-based solutions, Marvell said its 5G solution encompasses baseband DSPs, Arm multi-core SoCs, purpose-built hardware accelerators, Ethernet connectivity engines and system-level security solutions. Radio Access SoCs: The OCTEON Fusion-M product line is optimized for cost/power and programmable with a 3GPP protocol stack split and massive MIMO capabilities. Marvell's SoCs set the performance benchmark for both LTE-A and 5G NR, with multiple deployments through key industry partners. Transport/EPC Core Processors: Multi-core OCTEON processors that are optimized to address the most demanding use cases of 5G NR. Marvell's scalable data-plane acceleration makes its embedded processors ideal for 5G Core/EPC applications at the heart of the network as well. Marvell uniquely offers a single unified architecture for both transport and EPC core. Ethernet Networking: switches and PHYs for carrier infrastructure. Marvell Prestera switches contain hierarchical traffic management for mobile infrastructure. In addition, Marvell's differentiated switching solutions allow advanced flow identification and access control to enable user-level security. Wi-Fi Connectivity: Marvell is ramping high volume production of 8x8 and 4x4 Wi-Fi 6 solutions. The 802.11ax engines include full MU-MIMO and OFDMA uplink and downlink, multi-gigabit peak speeds, precision location, cloud management, best-in-class beamforming and integrated Bluetooth 5 technology. ThunderX2 Arm-based Server: Marvell has introduced workload optimized ThunderX2 server processors to augment and enhance its 5G portfolio. 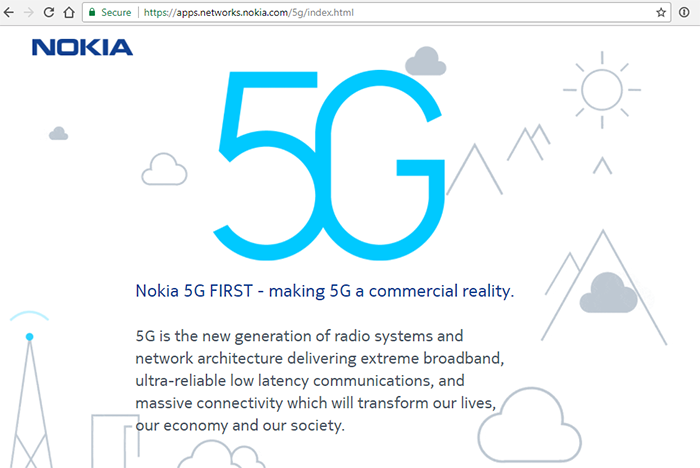 "Marvell is uniquely empowering our network infrastructure customer base to accelerate their 5G systems via our highly integrated solutions," said Raghib Hussain, chief strategy officer and executive vice president of the Network and Processors Group at Marvell Semiconductor, Inc. "Specifically, our 5G Ready portfolio is an order of magnitude better in terms of performance, power efficiency and overall implementation cost versus unoptimized field programmable pre-5G architectures. In short, the depth and breadth of Marvell's technology offers OEMs the flexibility to tailor their infrastructure solutions to specific carriers and global end markets."